CIT have announced a photography project commission with Magnum photographer Steve McCurry; documenting the creative people and places of London’s South Bank area. CIT appointed placemaking agency Futurecity to curate the project, after expressing a desire to establish a meaningful cultural collaboration for their project, South Bank Tower, to reveal the rich character of the area and uncover the creative minds that contribute to what makes the South Bank district so authentic. CIT commissioned Steve McCurry to capture 40 images for the project entitled ‘People & Places’. The photographs will be used to create a one-off book for residents of the tower and an exhibition which will be open to the public from 4 – 14 September. In addition, an original foldout publication will be created for distribution within SE1 to showcase the creative businesses of the area. Internationally acclaimed, multi-award winning photographer Steve McCurry has been one of the most iconic voices in contemporary photography for more than 30 years. While best known for his portraits, McCurry’s work spans conflicts, vanishing cultures, ancient traditions and contemporary culture. McCurry’s most iconic image ‘Afghan Girl’ was taken in a refugee camp in Pakistan and has been named as ‘the most recognised photograph’ in the history of National Geographic magazine. The South Bank area is well-recognised for being a cultural hub of London, with institutions such as the Tate Modern, Shakespeare’s Globe Theatre and The Southbank Centre, however CIT and Futurecity were keen to highlight the inspired people and unique hidden corners often overlooked. 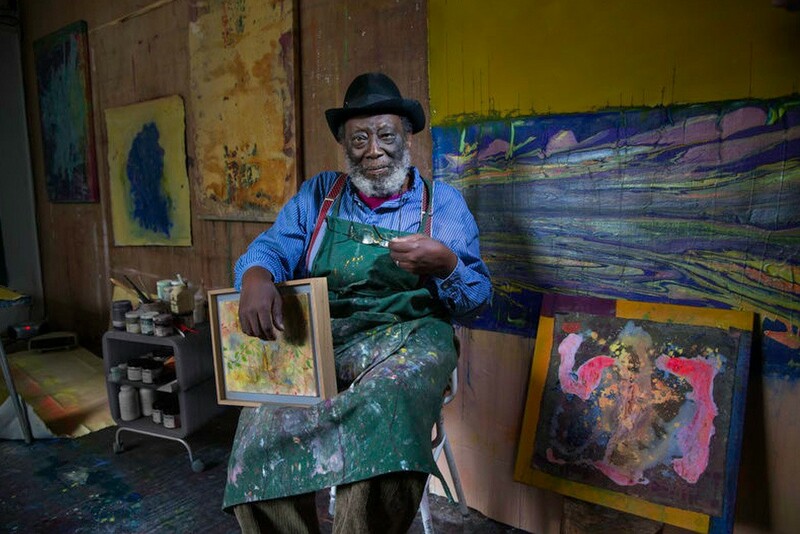 McCurry took portrait images of key figures from the area: artists such as Frank Bowling OBE, leading dance choreographer Siobhan Davies and cheese maker Bill Oglethorpe of Kappacasein are all documented within the series. Steve McCurry states “I was delighted to be asked to photograph the artisan residents of South Bank. It’s a place of such strong cultural identity and I was privileged to meet the many colourful characters that make up this vibrant community”.